Can I be honest for just a moment? When it comes to lunchtime, I can be a little...well, let's just put it bluntly...LAZY! My days are filled with cleaning, blogging, taking care of my little ones and my home and honestly, I just don't have the time to spend preparing some huge elaborate meal for myself. During the school year when it's just me I'm likely to throw together a sandwich, a bagel and cottage cheese or even a nice salad. Something that requires very little prep work. But with my son home for the summer, I have to actually put in a little more effort! A sandwich every day of the week may be just fine for me, but my little guy would get bored after just a few days! We have to make lunch a fun part of our day. So, how do we do that? Picnics are great for summer meals...they can take even the simplest of foods and make them somehow exciting just by moving the meal outside...when the weather allows! Getting my son to help me in the kitchen is another great tool to make lunch more fun. And there is nothing more fun than preparing most kids' favorites- my son included- PIZZA! 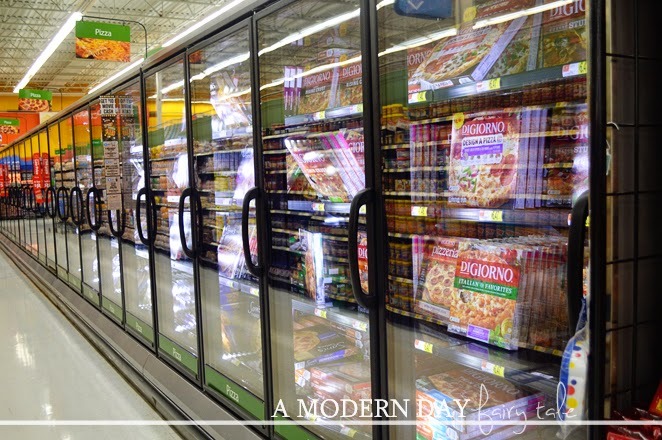 So, we headed to our local Walmart to pick up some oven-ready pizzas from DIGIORNO® that are perfect for summer lunches! My little man has a shorter summer break than most and it always seems to go by much too quickly, so we want to take full advantage of the time while we have it. For us that means lots of time outside enjoying the warm weather. Basketball, gardening, riding bikes...there is plenty to do and no time to be wasted. For those days the DIGIORNO® RISING CRUST® Pizza, and pizzeria! from DIGIORNO® are absolutely perfect! They are oven-ready, so all we have to do is toss them in and done! They taste delicious and require absolutely no effort on our part. We enjoy the great pizza taste we love without losing time away from our summer activities. And then there are those rainy days where we're stuck inside with nothing to do. Those are the days that we need a little more fun...so why not make lunch not just a necessity, but also an activity? 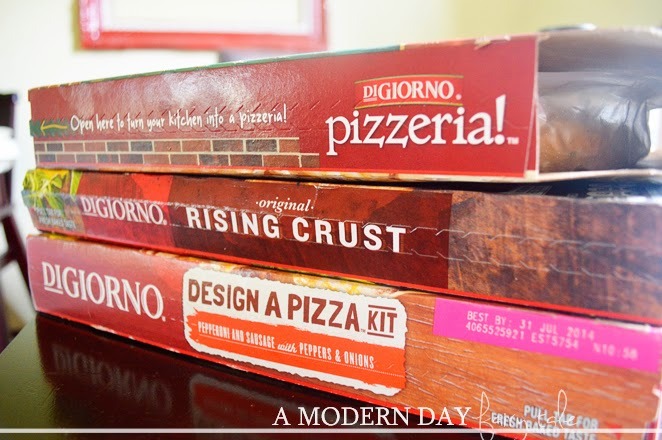 The DIGIORNO® Design A Pizza™ Kit makes that easy. 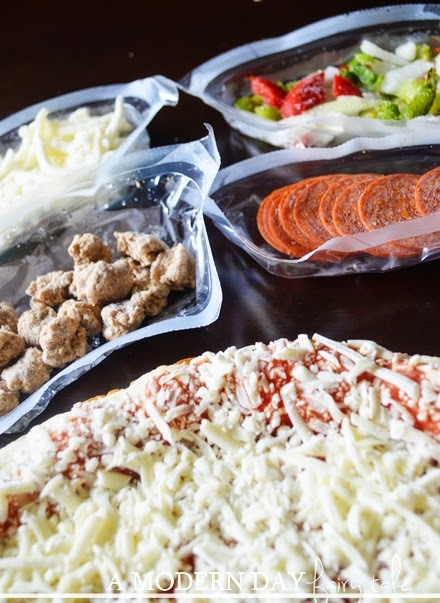 They are as convenient as all DIGIORNO® oven ready options (and as tasty), but allow you to add the toppings yourself. 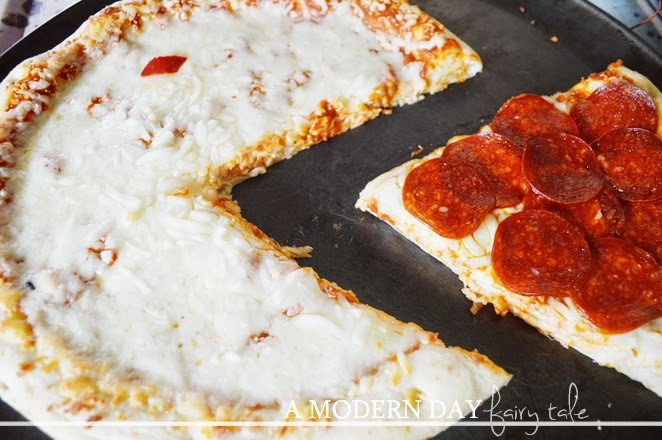 The toppings are all included and ready to add, so all you and your kiddos have to do is design it as you like! Will you create a game of tic-tac-toe? A favorite character? Spell out a name? The possibilities are endless! I also love that we can personalize to our tastes. Being the only vegetarian in a family of meat eaters, we usually have to stick to plain ol' cheese...delicious, of course but sometimes my son wants something a little different. These pizza kits allow us each to eat our pizza just how we like it! Yum! Go from this... to this!!! 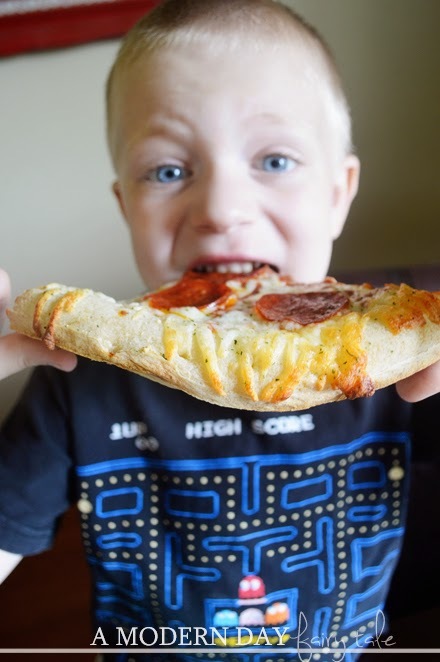 Whether you make it a fun, creative pizza masterpiece or keep it simple, the DIGIORNO® Design A Pizza™ Kits are sure to be a hit with kids of all ages. Serve it up with a small side salad or some fresh fruit and you have the perfect summer meal for everyone! It can truly make those rainy, stuck inside days a little brighter. In fact, your kids may have so much fun, they'll be asking for more on the non-rainy days as well- I know mine has. Mommy gets a little help in the kitchen and everyone gains a fun summer memory of time spent cooking together. What could be better? Looking for more summer meal ideas? Check out these flavorful moments from Nestle! What are your go to rainy summer day activities? Any special meals you reserve for just those moments? How would you design YOUR perfect pizza? 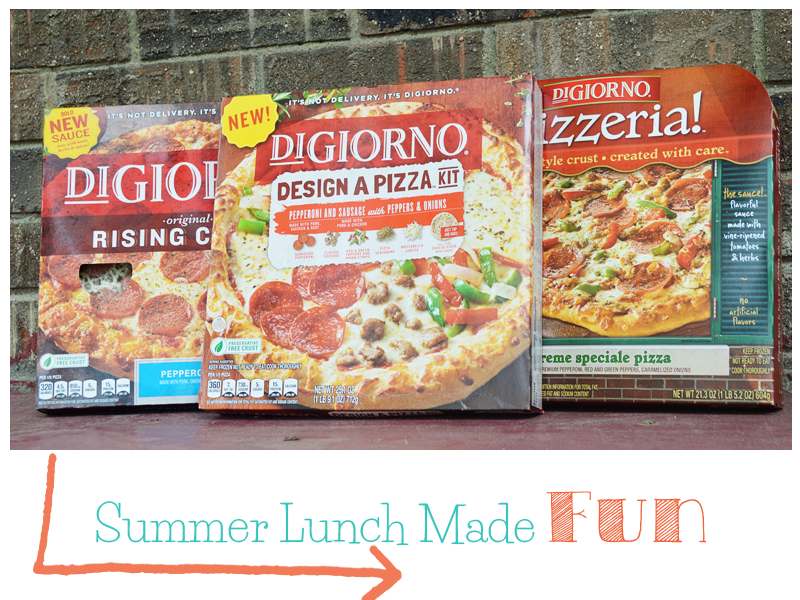 Digiorno is our favorite cook at home pizza! It's just the right size for my husband and I to have for dinner. Esp on these summer nights when dinner can creep up on you if you're not prepared. Would love to try the Design A Pizza Kit...looks good.